Customers of Chorley Markets’ very-own micropub are celebrating after it was named in the 2018 CAMRA Good Beer Guide as one of the top pubs in the country. The Bob Inn, which opened on Chorley Covered Market in 2014 with grant funding from Chorley Council, has been listed in the top 10 percent of pubs in the UK for real ales and beer quality. The Bob-Inn has featured in the Good Beer Guide alongside other Chorley pubs before but this is the first time the micropub has made it into the top 10 percent in the country. Councillor Danny Gee, who leads on the town centre at Chorley Council, said: “We are thrilled that the only micropub on Chorley Covered Market has been recognised nationally for the second time running. 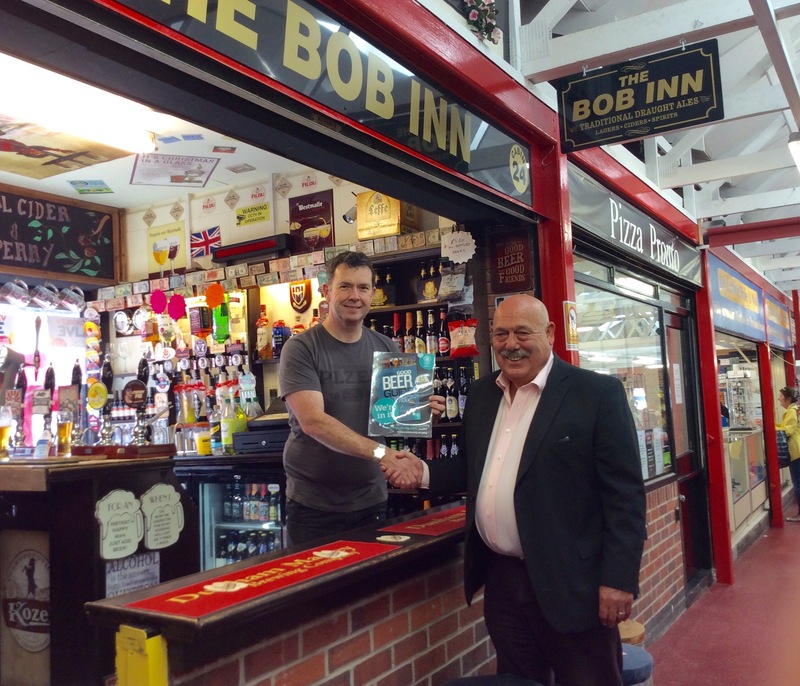 “The Bob Inn has attracted lots of visitors to Chorley and is very popular among local people, offering an alternative drinking experience with great quality products. CAMRA – the Campaign for Real Ale, was founded in 1971 and has since been campaigning for real ale, pubs and drinkers’ rights. The Good Beer Guide is now in its 45th edition and ensures that all of the pubs listed are of true quality and offer the best experience to their customers. Steve and Jill, Owners of The Bob Inn said: “We are both delighted that The Bob Inn has been given national recognition for the second time running. “We always aim to give our customers the best quality produce in a unique and fun setting so to know that our hard work pays off is a great achievement. The Bob Inn is a family run micropub located in the heart of Chorley town centre that serves a wide range of real and cask ales in a unique venue. It was opened in 2014 with new business assistance and grant funding from Chorley Council and is one of 30 venues hosting Chorley Live on Friday 6 and Saturday 7 October.